I have had the pleasure of meeting Chris Kyle when we worked with him a few months back on a development project. He is a true American and hero. What he has done and talks about in his new book “American Sniper” is a true testament to an individual tasked with ensuring the safety of Americans, our allies and civilians. Below are recent links to his interviews about his experiences and his new book. Some of Chris Kyle’s recent television and news paper interviews are linked below. Be sure and check them out and his new book American Sniper. You won’t be disappointed. Sacramento, CA – Blumenthal’s Uniform and Equipment announces the launch of their 5.11 Tactical Select Store opening December 14, 2011. This store is one of only two 5.11 Tactical Select stores in the nation carrying the full line of 5.11 Tactical products offering an interactive shopping experience for tactical gear. “Our first Select Store in Portland, Oregon has been a real success. 5.11 Tactical products have so many features that consumers want to see, feel and interact with our products,” explains Tom Davin, CEO of 5.11 Tactical. Blumenthal’s began in Seattle, WA in 1948 by Joe Blumenthal and has grown to 5-stores in the Northwest. Brothers Mitch and Mark Blumenthal along with partner Roger Heldman, have announced a Grand Reopening of their Sacramento store after a remodel and the addition of the full line with over 7,000 product styles from 5.11 Tactical. The Grand Reopening celebration will take place on December 14 at Blumenthal’s, 3133 Arden Way, and will include a gift for the first 25 people in the door each day, prize drawings, snacks, and 20% off all 5.11 Tactical in-store purchases at this location only. The leader in innovative rechargeable flashlights, introduces the new ATAC™ line of battery-operated flashlights. 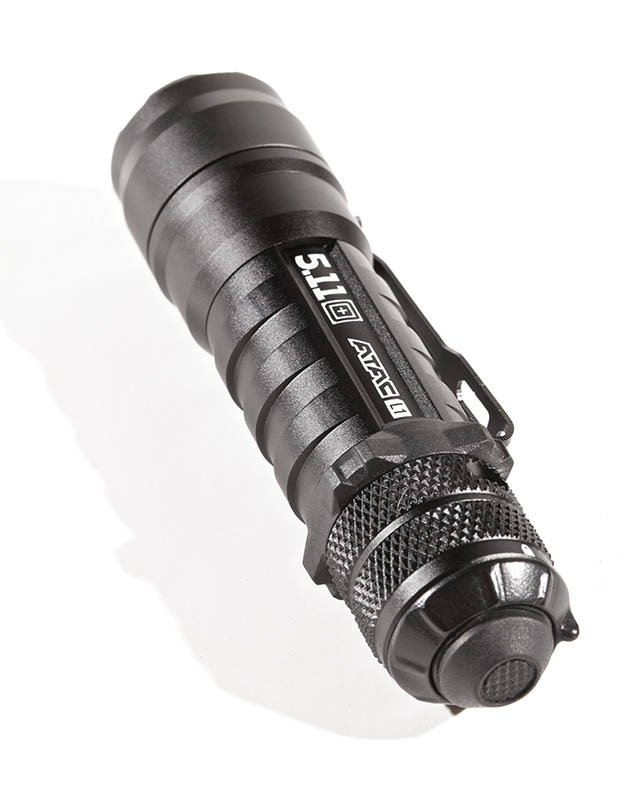 For anyone who needs a reliable light source, 5.11 Tactical® has engineered a new line of durable battery flashlights with the highest standards and best value. Constructed of aerospace grade aluminum, these dependable flashlights are impact and weather resistant to assure longer service life. 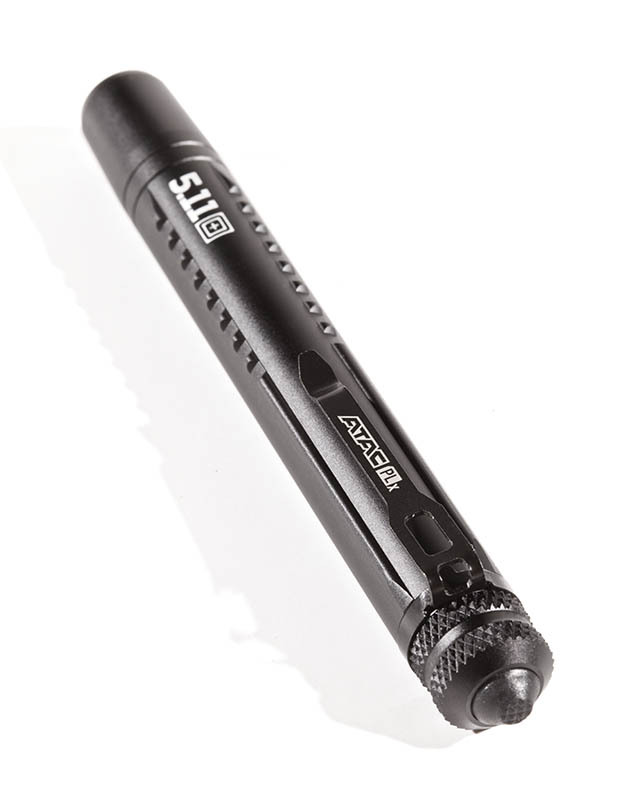 The multipurpose flashlight line is ideal for general and task-specific lighting needs at close and long distances while the long battery life reduces operating costs. ATAC’s molded rubber anti-roll ring keeps the light in place when it’s set on the hood of a car or other uneven surface. All ATAC models feature a “momentary on” switch function, a spring steel pocket clip for convenient carry and include batteries. The ATAC™ Belt Clip / Holster Accessory is designed for instant access and to secure any of your ATAC™ family tactical flashlights. Made from high density impact resistant Polymer PC/ABS. Clips on in less than 1 second and is compatible with almost any belt. Creates an ultra snug fit even on narrow belts with the adjustable belt spacer. 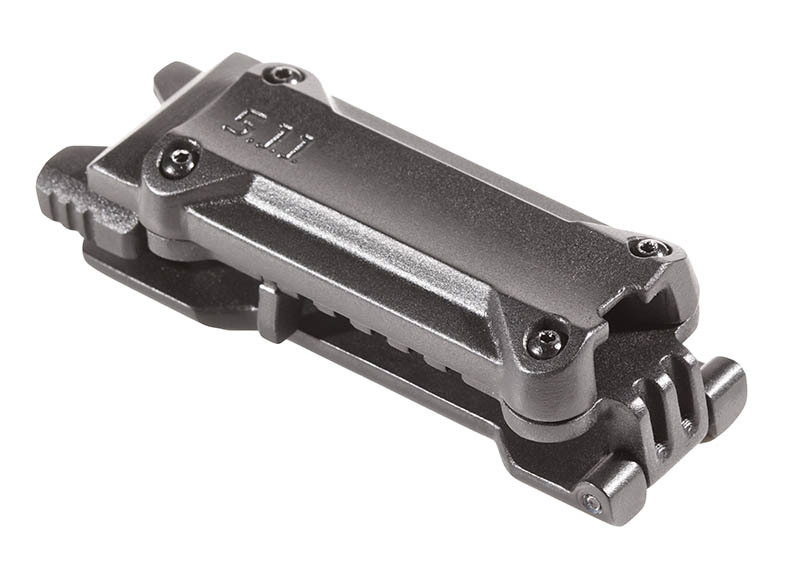 Compact design takes up just 1.1” of belt space and weighs less than 1 oz. A new 5.11 Signature Store celebrates its grand opening this Saturday in Virginia Beach. The second of its kind in the nation and the first on the east coast, it is owned and operated by Tidewater Tactical. Think of it as a franchise. The store is locally owned and operated but all of the content is 5.11. Truly a catalog come to life, you could walk into the store naked and walk out, equipped head to toe to perform most LE or associated tactical functions. Not to mention, they make a great pair of pants that are well suited for use by those in construction, utilities, and transportation. In fact, if you are hard on your clothes while at work or play, 5.11 is a good choice. Additionally, 5.11 offers a great deal of product for use by military personnel in addition to their new Fire/EMS line. What’s more, they are constantly expanding their product offerings. Everything you see in their catalog will be available in the store and it is exclusively 5.11. In fact, it’s 2000 square feet of 5.11. The big plus here is that it is in stock; all sizes, all colors and you aren’t going to see any other brands mixed in there. Nobody what they do for a living, everybody wears shoes or boots. 5.11 has a great cross section of footwear choices that will fit most any need: casual, steel toe, or duty. What I’ve said here isn’t just some ad. I mean what I say. I remember about seven years ago sitting down with Bob Denny to take a look at what 5.11 was up to. I was already familiar with the pants as I owned a pair or two that were made by Royal Robbins. What impressed me at the time was what this new 5.11 brand was doing to spearhead the development of what eventually became the tactical clothing market. Today, 5.11 continues to impress me as they refine their current of products and delve into new areas, always mindful of how the products will complement one another. They’ve put a lot into this industry and for that they have earned my respect. There are a lot of folks wearing 5.11 and that certainly says something. The new store is centrally located at 375 Independence Blvd near Virginia Beach’s City Center district. It lies across the street from Pembroke Mall and is right down Independence from Little Creek NAB. Visitors will find easy access from the Independence exit from 264 which also makes it convenient for many local LE agencies. 5.11 Tactical is interested in opening stores in other areas. To learn more talk to your POC at 5.11. Stop in for their grand opening this Saturday, 4 June and mention that you read about the store on SSD and you will receive a 10% discount. LE and Military receive a regular 5% discount which essentially pays the tax on your purchase.Article and photos from Soldier Systems. 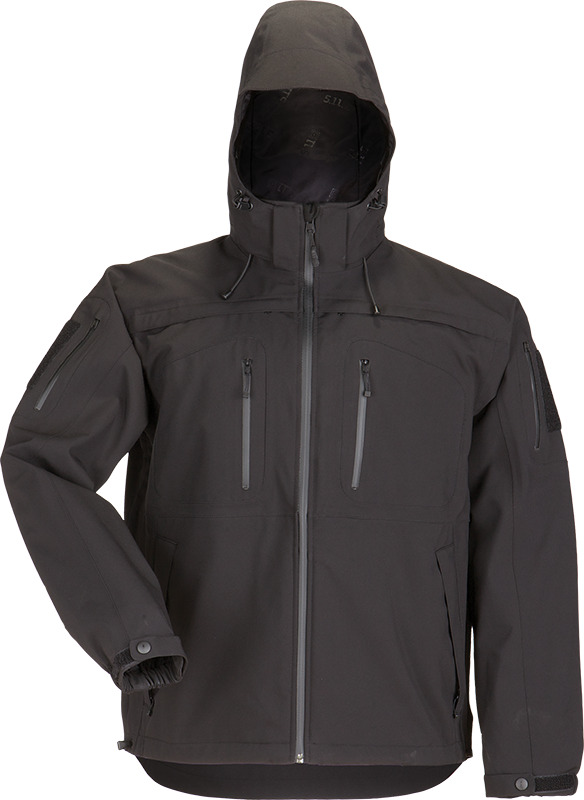 5.11 has just introduced its new Sabre 2.0 jacket. After years of research this new update to the original Sabre will not disappoint. 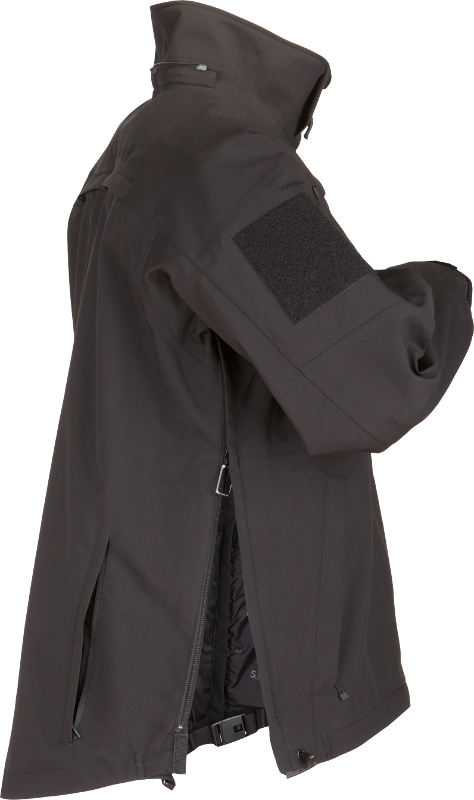 If you have worn the original 5.11 Sabre Jacket you are going to love the new Sabre 2.0. Taking all of the end user feedback and comments received, 5.11 is introducing the next level of performance and design in its new Sabre 2.0. With its two front pull out ID panels and one large back ID panel, you can go from a covert to overt operation in seconds. 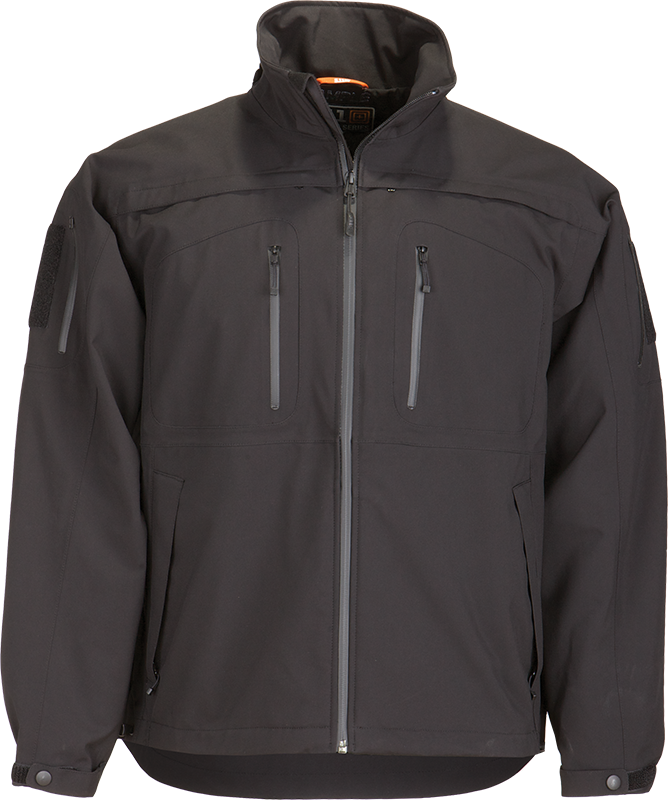 An updated fit and storeable or removable hood that is completely waterproof for extra protection. We’ve also added a vertical zipped back pocket right near the lumbar for storage if you choose to remove the hood or not roll it up in the collar. And for one of the final additions, 5.11 added its new Quixip side access system to the Sabre 2.0 which allows for conceal and covert carry, for the quickest access to a concealed sidearm on the market today. 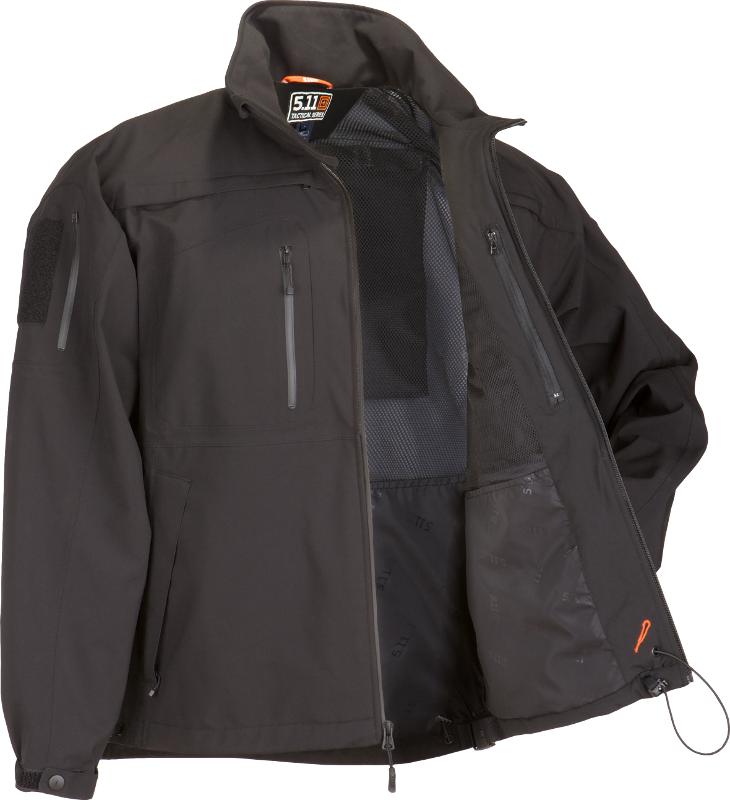 Buy this jacket at Galls and get 10% off Sabre 2.0 at Galls. Key in Sabre 2.0 in the search box when the site comes up.